Companies are facing massive cyber security challenges – many of which are rooted in the endpoint. In fact, according to IDC, 70% of successful breaches begin at the endpoint. If you are a McAfee customer, and still have breaches in your endpoint security, then something isn’t working. Perhaps you’re struggling to prevent advanced attacks, or your security team may be burdened by maintaining overly complex policies. You and your end users may even be facing performance issues. 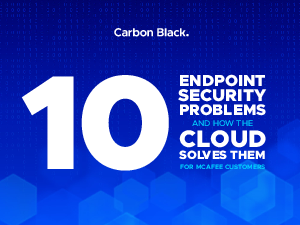 If you are experiencing any of these challenges, then your endpoint security products may actually be creating more problems than they solve. Ask yourself these questions for a cybersecurity reality check.